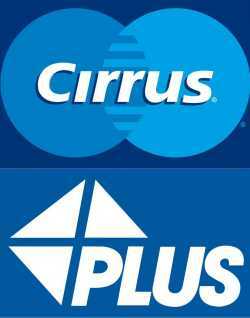 Im just curious about the overseas atms part though, since im not familiar with the whole cirrus and plus thingy. Do our local banks have that? If you have a saving account with local banks that issue cards with the logos seen below, you're on the respective network. Does it mean if i go this country and my atm can use cirrus network or something, i just use my usual atm pin number for it or is there a different set of pin numbers for overseas withdrawal? You can withdraw cash from your savings account from overseas ATMs that displays the respective logos. You bank balance will be displayed in foreign currency depending on which country you're currently in. For example: Should your savings account have a balance of SGD $1000, it will display a balance of appropriately ‎¥81,000 when viewing your bank statement in Japan. But I would advise against viewing bank statements when overseas, as to my understanding - it counts as a "transaction" which may incur bank charges. Based on what I know from my last trip abroad two years ago, the bank charges were SGD $5.00 per transaction if I am not mistaken. I recommend consulting your bank for more information before you leave for an overseas trip. Some might view the bank charges per transaction as prohibitive, but in the grand scheme of things with prolonged trip duration, it sure beats carrying all the cash on you. If you estimate your cash usage with some accuracy, you can reduce the amount of times you go to the ATMs to withdraw cash, thus similarly reducing the number of times bank charges are incurred. Also, be sure to enable/activate all your cards for overseas use (both credit cards and ATM bank cards). One can usually do that with any local ATM or thru online banking if I'm not mistaken. As for credit cards, simply give them a call and request it if you're unsure on its status. Edits: Based on my usage, overseas cash withdrawal uses the same pin you have set for your respective ATM cards. If its six digits, it remains six digits. But this is only from my personal experience, so other members here may wish to weigh in if this isn't always the case. Last edited by BirdbrainZ; 07-04-2018 at 11:12 PM..
Its my virgin solo this june, im going Taiwan! Going Jiufen, Hualien and Taipei! Citibank has no overseas withdrawal fees/charges (using Citibank cards at Citibank ATMs). Alternatively, should you want to check your bank statement for some reason but without incurring bank charges, you can always rely on online banking by bringing your "token" along for the trip or have the verification code sent to your phone to login. For prolonged trips abroad spanning more than a month, you will eventually want to pay your credit card bills online even while abroad. Last edited by BirdbrainZ; 08-04-2018 at 03:29 AM..
Wow thanks for the info birdbrainz! Appreciate it! Hi， does anyone know how what service provider is the best for roaming? This depends on where you are going to. Since it is your first solo trip, probably a place where you do not have any language barriers to start with? Although language is never a barrier, for first timer, I would usually suggest that. Someone suggested Taiwan and you had been to Taipei. Taiwan is not just about Taipei. I've stayed there for months travelling and working in local farms and guesthouses but still never managed to finish the whole of Taiwan(as in every single corner of Taiwan). Whenever, I go back to Taiwan, there is always something new for me to discover. I especially like the eastern of Taiwan, e.g Jinlun, Taimali, Du Lan, ChiShang, etc. Transport is less accessible as compared to the city. Tainan is also nice to explore. Get yourself lost in the alleys and you will be surprised to find nice and interesting shops or cafes there. Visit aboriginal villages if you can, or stay in aboriginal villages. If you want, you can also go round island cycling trip. Cycle from one point to another. If not public transport can still bring you from one place to another, just with some transfers here and there. Alternatively, if language is not an issue to you, South Korea is also another place worth doing solo trips and I am not talking about going to Seoul. Go into their slow towns/villages like Changpyeong. Even if you don't speak a single word of Korean, you can still survive. Everyone has different preferences, some like shopping, some like nature, some like culture and monuments, etc. Depending on your own preference, you can decide what to see and what not to see. Ultimately, its your solo trip, you are the one to decide. Anytime you don't feel like it, you can still change your plans. Since you are a solo one , you have to consider the language first. And also, where to have fun. If you are straight or gay, you have to think of that too. Lastly, your daily budget. Plan it out first and come back to us. No budget no time limit but want us to plan for him. I can only think of one place. The world. Go travel around the world ts. Got many people did it, not dangerous. U need a guy to protect u?